Is Perimenopausal Breast Tenderness Normal? When your body is transitioning into menopause, it can be difficult to understand all of the physical changes that are occurring. Education can help you learn more about the symptoms that you can expect, and you can make a few lifestyle and dietary changes to improve your overall health and reduce the impact of these symptoms. One common complaint that women have during perimenopause is breast tenderness. If you are experiencing tenderness, then you might be worried that it is an indicator of other health problems. The truth is that breast pain and tenderness is quite normal, and most women will experience this symptom at some point during or throughout perimenopause. As the hormones change within your body, your reproductive organs can change as well. Breast pain is actually so common during menopause that there is actually a medical term for the condition: mastalgia. Sometimes, women might experience this breast pain before their periods in the younger years of their life, and some doctors have suggested that these women will more likely experience breast pain during perimenopause as well. Doctors are still trying to understand the exact cause-and-effect of the breast pain, but they know that it is probably related to the hormone changes that you are experiencing. So, if you want to reduce your breast pain, then you need to focus your lifestyle habits on methods to balance your hormones. These hormone fluctuations are directly impacted by your dietary choices and the daily habits that you are following. 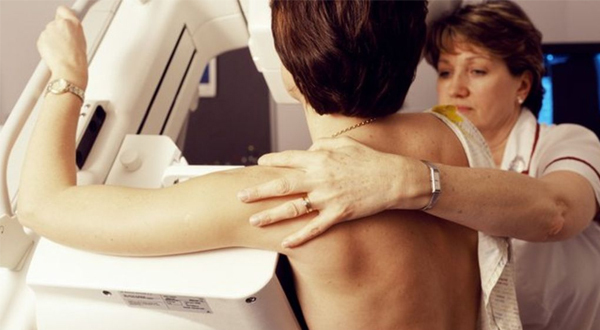 It is important to be aware of the fact that breast pain might be associated with breast cancer. So, you should talk with a health professional if there is any concern about the development of cancer. In many situations, the pain isn’t a stand-alone indicator of breast cancer, but it occurs in conjunction with other symptoms of breast cancer. If you have breast pain and/or any other symptoms of perimenopause, then you should take a proactive approach to balance your hormones. There are several things that can be done, such as changing your diet, managing stress levels, and decreasing your exposure to toxic chemicals and products in your environment. We want to help you balance your hormones and improve your overall health and wellness, which is why we developed the Luminology line of supplements. These products are designed for women like you, and they can help you create the health that you desire. Contact us for more information about the benefits that you can receive by using a high quality supplement.